3/2/2009Share this story on Facebook! Submit this application, plus a cover letter and résumé, to Dean Lynch's office by Monday, March 9, at 5:00 p.m.
NBC Sports will be coming to Ithaca next month to interview applicants. 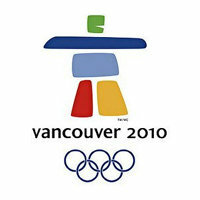 The games will be held in February of next year; if you are selected to participate, you'll be required to travel to Vancouver in January and return to campus in early March. Applications are available right over there in the sidebar, but get moving. Your deadline is looming. Applications must be submitted no later than 5:00 p.m. on Monday, March 9. Wait! You say you're off campus? Can't make it to campus for an interview? Contact April Johanns at ajohanns@ithaca.edu. She'll help you set up an interview over the web.